Lions meet the needs of local communities and the world every day because they share a core belief – to serve their community. 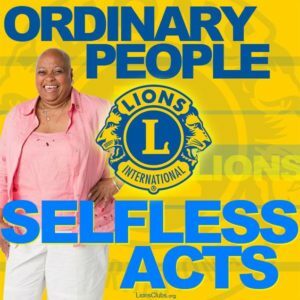 Lions Club International is the world’s largest service club organization with more than 1.4 million members in approximately 46,000 clubs in more than 200 countries and geographical areas around the world. Our goal is to make a more cohesive club, put some fun in our activities, and attract new members. Lions are strongly encouraged to invite non Lions to attend as their guests! 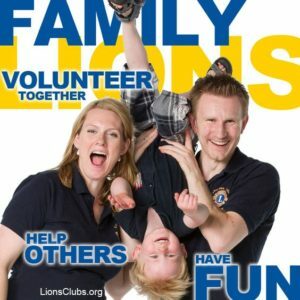 These are easy and great opportunities for Beach Lions to invite anyone they think may be interested in being a lion or helping Lions achieve more. Relatives and friends always welcome! Meeting attendance is highly encouraged, but not required. We have many members who are away for much of the year and others who can attend meetings once in a while. What are general attendance requirements? Our motto is “We Serve”, whether you volunteer a couple hours of your time or several hours there is not a hard and fast rule as to how much time you are required to donate to the Club. Whatever you can do is greatly appreciated!! The more you are able to put in the more satisfaction you will get back. We meet on the 2nd and 4th Thursday of the month. The social hour starts at 6:30pm and the dinner begins at 7:00pm with a short program following the dinner. Meetings are normally held at the St. Raphael’s Episcopal Church Social Hall on Williams Drive, Fort Myers Beach. The membership application is $70.00. This includes a Lions vest, membership kit and pin and registration with Lions International. 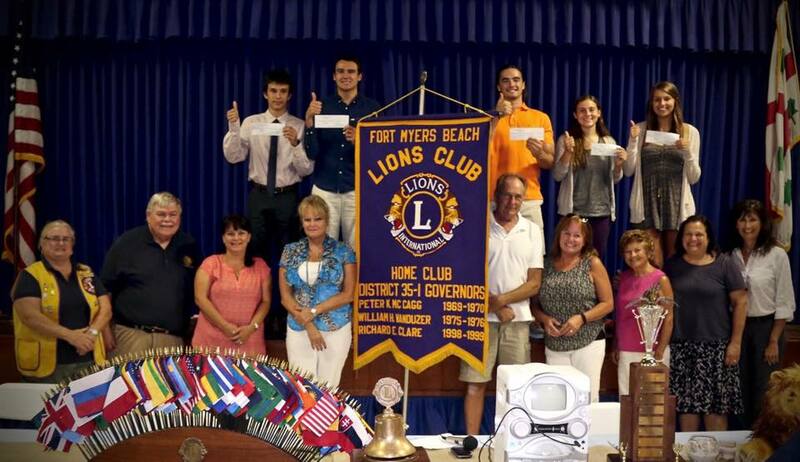 Proceeds of Lions activities, such as the annual Fort Myers Beach Shrimp Festival weekend, help fund student scholarships and many more local needs. For information about joining the Lions call Lion John at (239) 877-2400 or send an email to info@fmblions.com.